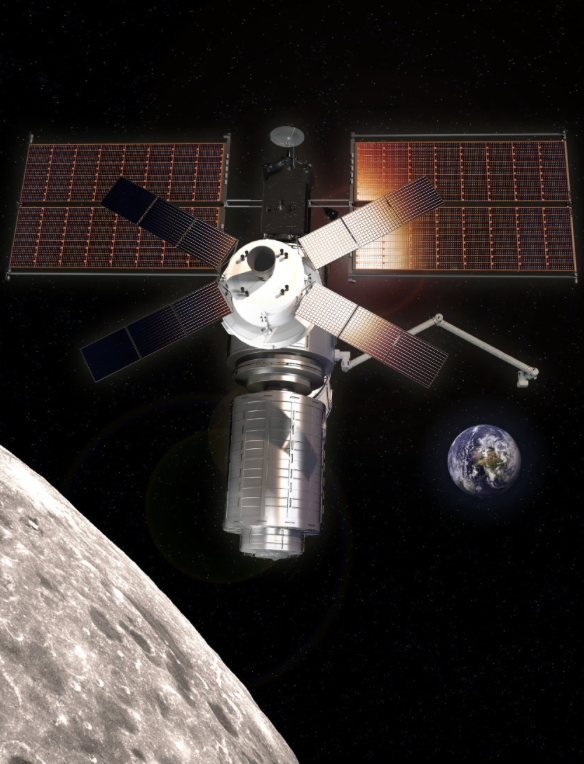 This company was selected by NASA as a possible candidate to build a module that will provide power and control for NASA's deep space gateway concept. SSL, a business unit of Maxar Technologies (formerly MacDonald, Dettwiler and Associates Ltd.) (NYSE: MAXR; TSX: MAXR) and a provider of satellites and spacecraft systems, announced it was selected by NASA to conduct a four-month study for a module that will provide power and control for NASA's deep space gateway concept. The contract award is a tangible demonstration of SSL leadership, experience, and commitment to space innovation. The gateway will be a human crew-tended spaceport in lunar orbit that functions as an access point to the Moon and deep space. The power and propulsion element (PPE), which will be the first gateway module launched, will serve as a building block to provide all power, maneuvering, attitude control, communications systems, and initial docking capabilities for the gateway. The SSL design for the PPE is expected to demonstrate the value and reliability of the company's spacecraft capabilities, which includes a long track record of success in power and propulsion systems, and more commercial satellites operating in geostationary orbit today than from any other manufacturer. Richard White, president, SSL Government Systems stated that SSL is committed to advancing key space technologies and architectures that will lead humankind toward a new frontier of space exploration. They are delighted to have the opportunity to demonstrate how their commercially proven systems can support NASA's next generation missions. High power solar electric propulsion will be used to efficiently maneuver the PPE into its orbit and subsequently adjust the orbits of the gateway as needed. To meet the high level of power required for the gateway, SSL will leverage its extensive experience with solar electric propulsion, which includes 30 spacecraft on orbit today. The SSL concept includes the application of a Roll Out Solar Array (ROSA), which is a modular and scalable solar array system that rolls up for launch instead of folding like an accordion. ROSA was recently tested on the International Space Station and is qualified for use on the SSL 1300 spacecraft platform. SSL has a legacy of working with NASA and bringing the benefits of commercial capabilities to its missions, and offers experience to a variety of missions using robotics and automation technologies to support the construction of future space infrastructure and deep space exploration. These include the Ixion initiative, a study evaluating the conversion of rocket upper stages into habitats for use on the deep space gateway and commercially in low Earth orbit and the Dragonfly program to develop on-orbit robotic satellite assembly capabilities, which SSL recently demonstrated on the ground. SSL is also providing the spacecraft for a NASA Discovery Mission to explore the asteroid Psyche.